Boundaries Trailer Sets Up Star-Studded, Magical Family Dissection - Are You Screening? Shana Feste is a writer/director who (assuming you pay any attention to who writes and directs your entertainment) has to make you wonder about how films come together, and Boundaries does nothing to change that. The writer/director showed up in 2009, seemingly out of nowhere, with The Greatest and managed to get Susan Sarandon, Carey Mulligan, Aaron Taylor-Johnson, and Pierce Brosnan in her film. She followed that with Country Strong, the Gwyneth Paltrow/Tim McGraw vehicle. With only one other film under her belt (Endless Love), she’s back with Vera Farmiga, Christopher Plummer, Peter Fonda, and more in a family-centric road trip movie. Farmiga plays Laura, a single mother living in Seattle. When her father, Jack (Plummer) is suddenly kicked out of his retirement home, Laura begrudgingly agrees to drive him down the west coast to live with her sister, JoJo (Kristen Schaal). That means bringing along Laura’s son, Henry (Lewis MacDougall), which makes things all the more difficult because Laura doesn’t want her father influencing her son. 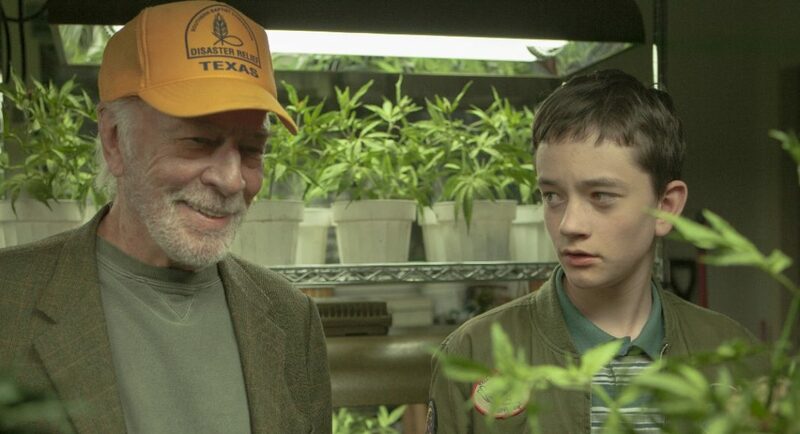 Naturally, Jack has a suitcase full of weed that he needs Henry to help him unload during the stops along the road. This sets the stage for both meeting up with old friends, including Christopher Lloyd, and dredging up the childhood Laura wants as much distance from as she can get. You have to imagine that the exploration of Laura’s baggage does most of the thematic driving, which will include things like her need to put everyone else before her perspective on raising her son. While certainly niche, this one looks like a film that has the tools to take over that niche and should easily be one of the sleeper hits of the year. Check out the trailer, a clip, and some images below, and mark your calendar for this one.